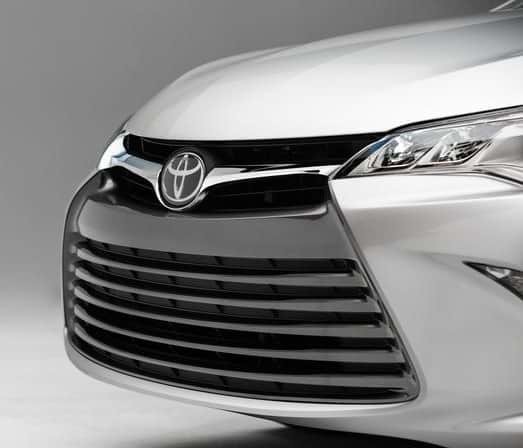 The Toyota brand is synonymous with automotive quality and innovation. Toyota Motor Corporation spends an estimated $1 million per hour on research and development – money well invested considering the dividends it reaps on innovations that improve driver experience and safety. The company’s latest marvel is a new 3-D head-up display, or HUD, to provide drivers with more information they can use to drive conveniently and safely. No firm date has been set for its release, but the device should begin showing up at Toyota dealerships in the next few years. The new HUD was developed by software engineers in Silicon Valley and auto designers in San Francisco. According to project designers, the HUD isn’t an entertainment feature, instead it is intended to help drivers avoid common daily driving hassles. The new display improves on 2-D HUDs currently available in the Toyota Prius and several models of the luxury Lexus brand. The new HUD displays a clear image on the windshield that doesn’t distract from the road and causes no headache or eyestrain to the driver or passengers. The application provides car speed information and other details, such as traffic hazards and navigation help. For instance, turn arrows on the HUD that show the driver when and exactly how to turn help to avoid scrapes and fender-benders. The HUD can also help drivers find a parking spot and provide real-time warnings of traffic hazards. For example, if a vehicle is about to T-bone a Toyota equipped with the HUD, a bright red image will appear on the HUD, alerting the driver of the imminent collision, allowing him or her to evade. Also, the HUD can warn drivers of objects in their blind spot, such as other vehicles or bicyclists. Toyota is currently working to combine these sensors into a small, convenient device. In addition to the 3-D HUD, Toyota is also working on other features such as automatic steering, braking, and acceleration options. The automaker is resistant to making a fully-automated vehicle, however. Toyota officials have committed to retaining driver control of their vehicles, but with a few tweaks to make driving safer and easier. Technology. Bluetooth technology connects the vehicle with drivers’ cellphones, allowing them to operate their devices hands-free. This keeps drivers from being distracted while operating devices. Distracted driving is a major contributor to car accidents. Studies show that distracted drivers are as dangerous as drunk drivers. Infotainment technology. This includes displays that allow drivers to control music and other features of their vehicle. Rear-view cameras. This allows drivers to see what’s directly behind their vehicles, helping them avoid backing over or into other objects. Collision warnings. Radar and other devices detect objects in close proximity to the vehicle and alert the driver in order to allow him or her avoid a collision. Navigation systems. Using GPS and cellular technology, new vehicles help drivers avoid getting lost around town or on road trips. Modern digital technology has a lot to offer drivers today. The new Toyotas of 2015 have come a long way from the days when power windows were the latest and greatest new vehicle option. Toyota had dominated sales as the world’s leading automaker, The company continued its run as the world’s top automaker by sales in 2014, edging out German manufacturer Volkswagen. Toyota sold more than 10 million vehicles in 2014, up by 3 percent over the previous year’s sales. Toyota had its beginnings as a loom company and began making automobiles in 1933. The company entered the U.S. market in the 1950s, and over the next few decades, improved product quality and its market share. The company began building plants in the U.S. in the 80s in response to American policies taxing imported vehicles. Toyota supplanted General Motors, which was the top-selling automaker for nearly a century, in 2008. GM is currently the third top-selling automobile manufacturer. The company has nearly 340,000 employees and is the 12th largest corporation in terms of revenue. Toyota’s commitment to quality and innovation is what helped it become the world’s leading automobile manufacturer. Los Angeles residents seeking a Toyota dealership that embodies the company’s values of top-notch products and customer service should visit North Hollywood Toyota, one of the L.A. area’s most well-regarded Toyota dealerships. North Hollywood Toyota has a large selection of new and pre-owned Toyota vehicles. Whether you’re in the market for a large truck like the Tundra or a small family vehicle like the Corolla, North Hollywood Toyota can help you find the highest quality vehicle for your budget.